Poster for International Harvester dealerships promoting the collection of scrap metal for use in war production. Features caricatures of Adolf Hitler and Hideki Tojo in a boat that is about to be hit by a torpedo. The torpedo bears the text: "The junk on your farm." 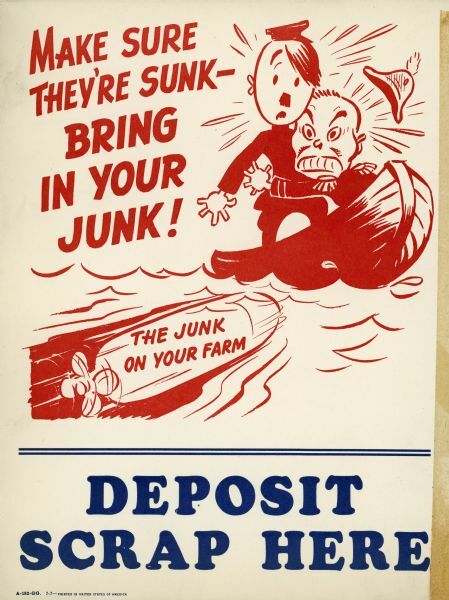 The poster also includes the text: "Make sure they're sunk - bring in your junk," and "Deposit scrap here."